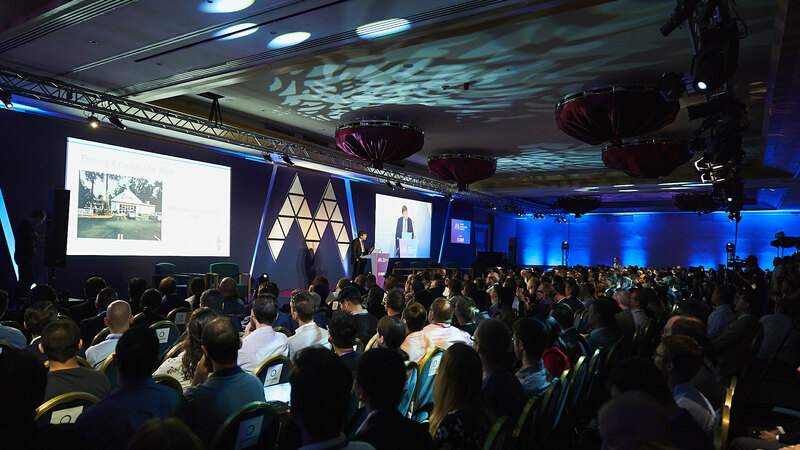 May 22-25, Hilton, St. Julian’s, Malta – The first edition of the Malta AI & Blockchain Summit in November 2018 turned out to be a monumental success. No fewer than 8,500 people attended the event. This year, the same team is throwing a massive show in May. The next show taking place on May 22-25, 2019 is themed around Social Impact, and is aimed at reigniting the Satoshi Vision for blockchain technology to advance social impact across societies through a truly decentralised ecosystem for transactions. The event is cordially inaugurated with a Social Impact Awards ceremony on the eve of the summit. The unexpected success of last year’s show has turned the organisers’ eye towards expansion. For the show in May 2019, they have chosen Hilton as the venue. This also enables the Malta AI & Blockchain Summit to host a first class expo floor suitable for a truly global crowd of exhibitors. Eman Pulis, the Founder of the Malta AI & Blockchain Summit, is eager to up the game. The speaker line up for May is far from filled but already features top names within the industry such as Roger Ver, Tim Draper, Ben Goertzel of SingularityNET along with Sophia the Robot, making her second visit to the island. The Maltese Prime Minister Joseph Muscat and Junior Minister for Financial Services, Digital Economy and Innovation, Silvio Schembri, will also speak at the event. With the quality recorded in 2018, attendees can put their expectations high for the second edition of the Malta AI & Blockchain Summit. This spring edition of the summit includes a lavish VIP dinner, networking drinks in the midst of the warm Mediterranean spring, an ICO Pitch and two conferences spanning from May 22-25. 2018 was the year Malta cemented itself as The Blockchain Island with the launch of the Three Bills regulating blockchain and cryptocurrencies during the Malta AI & Blockchain Summit in November. In 2019, the Blockchain Island is moving beyond the hype. The Maltese Government will enact another world first: a Fourth Bill, giving a D.A.O. its own legal personality. In addition, a task force is working around the clock on a set of incentives that will support businesses in Artificial Intelligence. This is why the organisers of the Malta AI & Blockchain Summit have expanded their scope to invite stakeholders in AI, Big Data, IoT and Quantum Technology – to join the show and engage in riveting discussions about the world-changing potential application of such technology. The Malta AI & Blockchain Summit is a landmark event that nobody in the field can afford to miss. 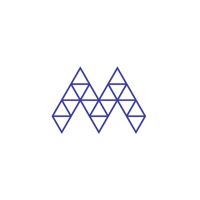 For more information, please visit www.maltablockchainsummit.com. 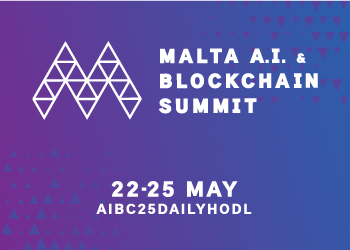 The Daily Hodl is a media partner of the Malta AI & Blockchain Summit.